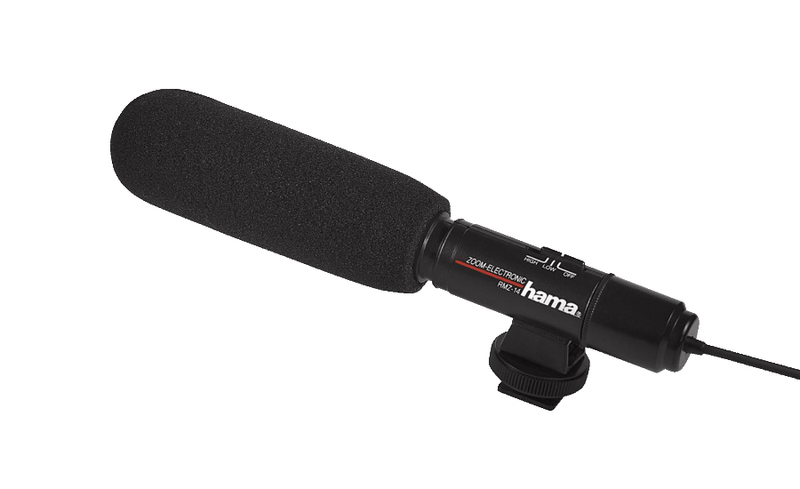 Directional, shotgun microphone for better sound recording with your Movie Mount. From the quality German brand HAMA. Allows you to pick up voices and other sounds much more clearer and stronger than the built-in microphone of the iPad.